If the your friends are complaining that there is nothing fun to do on the weekends, or they are sick of the same old boring activities, go and try out some of these amazing adventure and adrenaline activities. The Narrow Neck Plateau is a sandstone plateau that divides the Jamieson Valley and Megalong Valley. There are stunning views throughout the entire ride with plenty of opportunity stop and admire the scenery. The tracks are well maintained with gentle undulating rises most of the way and 4 steep ascents and a few gullies for those looking for some hard work going up and some thrilling speed coming down. If you want to make the day the ultimate fitness challenge as well, you can take along your Garmin Forerunner which measures your heart rate, speed and distance travelled and the best feature of all is the function that helps to guide you back to your starting position if you have lost your way! If you feel the need for speed, then the jet fighter flight is your choice of the day! Jump in with an aerobatic-rated pilot who can take you on all sorts of thrills from right side up to upside down, simulating strike attack manoeuvres across the sky. You will get to play the whole part, donning a full military helmet and flight suit. Once secured snuggly in the cockpit and received your last brief, to the skies you will head for a heart thumping adrenaline ride. As you streak down the runway, you will experience 4000 pounds of jet thrust to lift you into the air, traveling at 900km an hour! Your pilot will take you through a series of aerobatic manoeuvres before returning you safely to the sweet, sweet tarmac. The Blue Mountains are a wonderland for thrill seekers and adrenalin junkies from all paths of heart pumping sports. Abseiling and canyoning is an all-round sport which takes you bush walking, swimming, wading, water jumping, boulder hoping and abseiling through waterfalls. Experience the thrill of jumping from ledges into pools, and navigating gushing water ropes to get you across rocky outcrops as you make your way to beautiful swimming holes. There are many canyons to experience in The Blue Mountains National Park such as Empress Falls and Grand Canyon. It is the ultimate adventure activity for those nature lovers who want to get into the surrounding as much as possible. If you’ve dreamed of being the stunt double for Brad Pitt or Cameron Diaz, then try your hand at some Stunt Training at the 007 Spy and Stunt School Experience. At these workshops you will learn techniques to improve your agility, coordination, strength and balance by doing obstacle courses with guy ropes, tyres, tunnels and nets. Practice the art of Tumbling by becoming familiar with breakfalls, shoulder rolls and dive rolls, which when learned can save you from injury. If you feel like hurtling yourself through the air like Hugh Jackman on the Australian Oprah Winfrey Show, then try your hand a wirework and ratchets. You will get flung around with jerk backs, static stops, flipping and spinning. To add a little more to your stunt man portfolio you will learn rope work techniques used frequently in the stunt industry and theatrical fighting techniques for that next Van Dam movie. If being strapped inside a gigantic translucent bubble and then being sent hurtling down a hill at full speed is your idea of heart stopping fun then come and try zorbing! 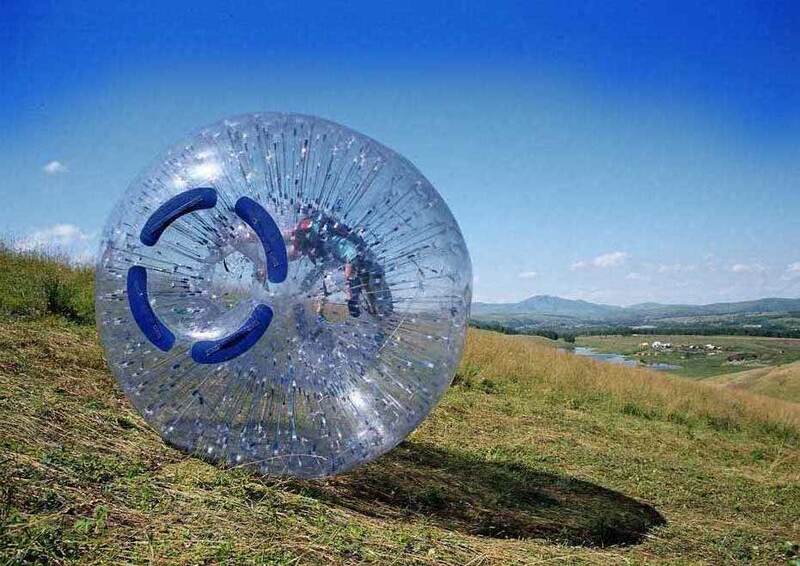 You can zorb on your own, sorb with your friend or partner, you can zorb with water, or you can zorb without water! You can zorb fast and furious or you can zorb slow and gentle. The choice is yours and it is a cracker of a fun time! You will laugh your guts up (that if being spun around 360 degrees in a giant PVC bubble doesn’t make you vomit first) and will want to do it again and again. Throw in 40 litres of water and you can dial up the action by attempting to run, cartwheel or summersault down the hill. But if that fails, feel rest assured that you will glide gracefully to the bottom whilst floating in the water and having the zorb whiz around and many miles an hour. 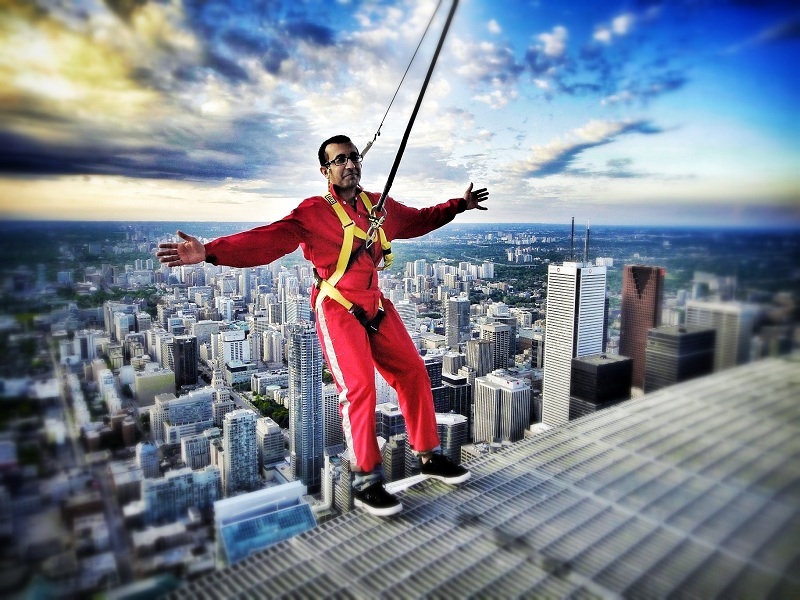 So if you want some excitement and action in your holidays or on your weekends, the list of adrenalin pumping activities is endless, ranging from the more mild forms of excitement to activities that some may see as plain crazy! Joe is a Mountain Biking Enthusiast from Sydney, Australia who has recently returned from riding the Narrow Neck Plateau. He rates it as one of the most exciting things he’s ever done and recommends using a Garmin Forerunner for the ride. Joe is planning an adrenaline junkies tour of Europe for early next year.